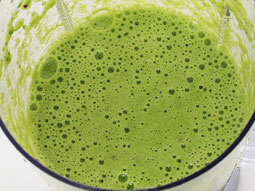 Fresh spinach juice made with apple is far more pleasurable and drinkable compared with plain and pure juice of spinach. It is known for its cleansing abilities as it purifies the blood and eliminates accumulated toxins from the cells and if that’s not all, it also helps to regenerate and rebuild the body. 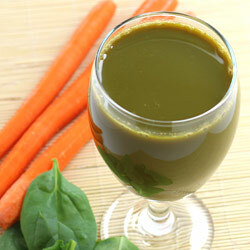 Follow this simple and easy recipe to make detoxifying juice at home. 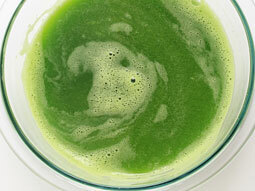 Wash and clean the spinach, apple and celery. Cut apple and celery into large pieces. 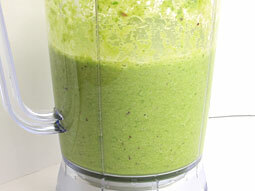 Pour 3/4 cup water in a blender jar. 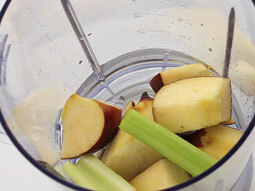 Add apple and celery. Add spinach and juice from lemon. Make sure that there are no chunks of fruits. 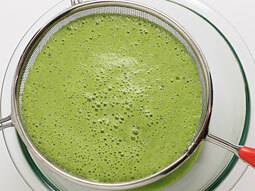 Place a fine mesh juice strainer (or sieve) over a large container and pour prepared juice mixture over it. Press the pulp down with a spatula to get the maximum juice out of it. Discard the pulp. Pour prepared juice into a serving glass and serve. Keep a glass or container under nozzle of juice extractor. 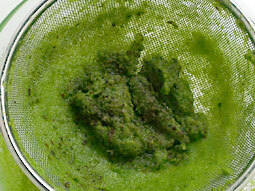 Process spinach, celery and apple through juicer. Mix lemon juice with extracted juice and pour into a serving glass, garnish with apple wedge and serve it for immediate consumption. 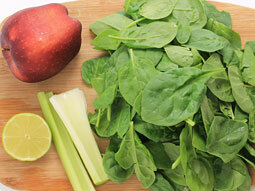 Choose fresh and dark green spinach for best results. 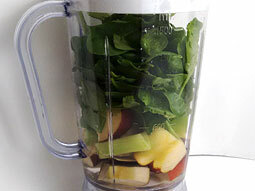 If you don’t like the flavor of only spinach, then mix any other green vegetables like cucumber, beet, tomato, carrot, etc. to prepare a flavorful healthy drink. 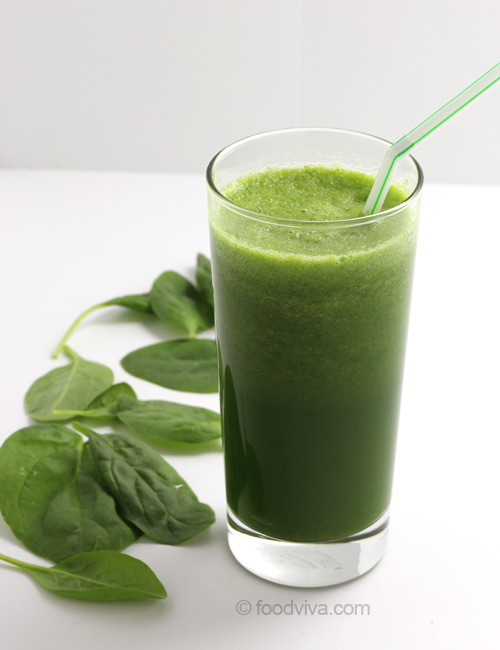 Serving Ideas: To get maximum benefits of spinach juice, it is recommended to have it once or twice a week in the morning. It is also recommended for healthy hair growth, glowing skin and to detoxify the body. Is very nice i've tested the beetroot juice. Good recipe. Would like to try. Is there any problem if you drink it with the shaft without sieving it. Response: Yes, you can drink it with the fibrous pulp (without sieving). Response: You can visit Foodviva.com home page to read and try new recipes. Best juice for hair and heath.